Recently LUSU VP Education, Ben Harper talked about his plans to make video recordings available for all lectures across the university. At the moment, students are allowed to take their own audio recordings with permission from their lecturers. Lectures are infrequently filmed, but video recordings are not widely utilised across campus. A number of other UK universities have video and audio recordings available to the students, so is it Lancaster’s turn to enter the fold? Recording lectures for students has many evident benefits. One of the most pertinent positive points is that they will be extremely valuable come exam time. Most students revisit their PowerPoints and lecture notes in order to revise, but they don’t always provide all the information required to make a compelling argument in an exam or even in essays. Some lecturers put the bare minimum on slides, expecting people to take detailed notes when they’re talking. This means that time and time again, students open up a PowerPoint hoping to jog their memories only to be greeted by individual words or nonsensical pictures rather than the notes that they need. This is also true of students who are ill or miss a lecture for other reasons that they can’t control. While PowerPoints are always made available, they don’t stand up to actually being in the lecture and hearing the lecturer talk through the theory. Video recordings would help those students who would otherwise be disadvantaged by allowing them to sit through the lecture at a later time. It relieves pressure on these students as many spend their time being ill worrying about what they’re missing during the day rather than focusing on recovery, which should be the priority. They would also help those students who feel as though they are falling behind on lectures or are unable to keep up with the speed of some lecturers. It would particularly assist those who have learning difficulties or even those who are distracted for a slight moment. You would be able to go back home and replay the lecture as many times as you need to get the notes down or to understand an exceptionally difficult concept, which is often a problem for those doing maths degrees or similar. However, it does have its negative ramifications. The main issue that many will have with the suggestion of recording all lectures is that it would encourage some students to skip lectures with the promise that they can always catch up while they spend all day in bed. Whereas at the moment those who don’t turn up are unable to enjoy the full lecture experience, with recordings available there is no point in turning up every week, which wastes everybody’s time. If all lectures are recorded, especially those with recurring subjects each year which could recycle the same recording, what are students spending up to £9000 a year for? For its clear benefits, it is important now that Lancaster joins other universities in recording its lectures. However, there needs to be safeguards against this policy encouraging apathy. It will help those who need to stay on track and will give students all the information they require to succeed. 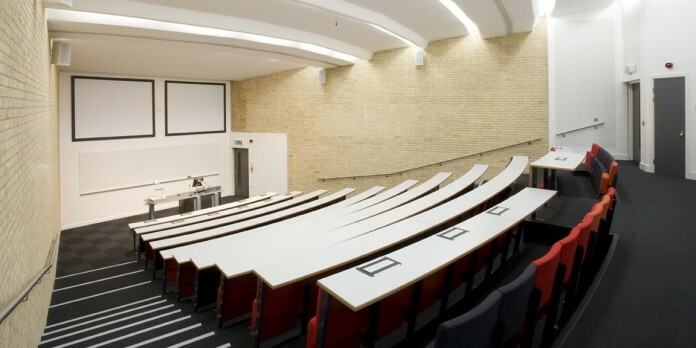 Therefore, as long as students still turn up to their lectures, making recordings available would be effective, providing departments stress that there’s no perfect alternative to attending lectures in person.